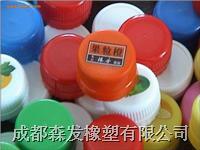 SEEFAR CO.,LTD is a recognized leader in the design, development and production of fluorocarbon plastic screw caps. Available in both standard and custom versions, we offer a complete line of chemically-resistant fluorocarbon plastic screw caps that combine effective, economical sealing with easy opening and closing. Used in applications that require positive sealing of alkalies, inorganic acids, oxidizing agents and most organic solvents. SEEFAR fluorocarbon plastic screw caps also completely eliminate the need for conventional gas closures and the difficulty in sealing and opening bottles (which formerly required unwieldy plaster-of-paris seals). Advantages of our fluorocarbon plastic screw caps include excellent abrasion and impact resistance, as well as being impervious to many chemicals. Since fluorocarbon plastic screw caps are resistant to the majority of chemicals, screw caps can be easily cleaned or sterilized for re-use, resulting in a long service life. Typical applications include laboratories, along with the pharmaceutical, chemical and semiconductor industries, to name a few. Please see the chemical resistance guide for specific chemical ratings on fluorocarbon plastic screw caps. Our standard plastic screw caps feature a line comprised of a thin film of polytetrafluoroethylene (PTFE) and a substrate that compresses suitably to ensure a positive seal. 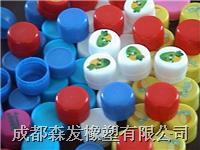 Custom plastic screw caps can be produced in standard sizes in other colors, and can also be manufactured in custom sizes per special request. As part of a custom plastic screw cap quote, please provide the Plastomer Technologies' Texolon group a drawing of the cap needed, and the material preferred for the cap and liner. Please feel free to call or email the Plastomer Technologies' Texolon group with all your plastic screw cap needs!